Housing campaigners are calling for a drastic intervention in the housing market as the number of individuals being evicted from rental properties is at its highest level since records began. The latest government figures show the number of evictions in the first quarter of this year rose to 11,307, an increase of 8 percent on the same period in 2014 and the highest level in a single quarter since records began in 2000. The figures show the level has risen owing to a peak in the number of repossession claims made by landlords in 2014, followed by a lag time while the authorities processed the claims, of which there were 47,000 according to the Ministry of Justice. Claims have since fallen, with roughly 42,000 during the first quarter of 2015, which suggest a trend that evictions will follow suit next year. “Every day at Shelter we see the devastating impact of a housing market at boiling point, with the cost of renting so high that many families are living in fear that just one thing like losing their job or becoming ill could leave them with the bailiffs knocking at the door,” Chief Executive Campbell Robb said. 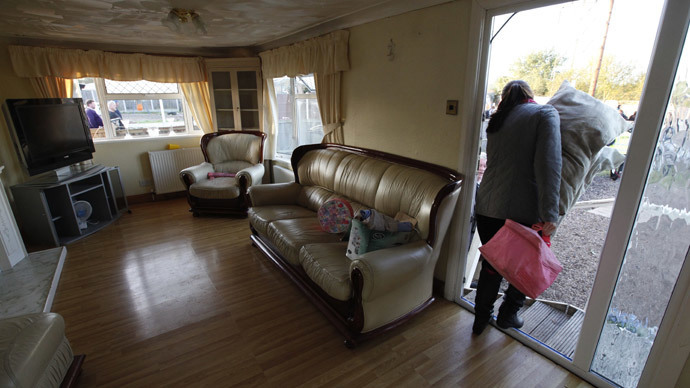 Housing Minister Brandon Lewis said authorities had put measures in place to ensure families did not become homeless. “There are strong protections in place to guard families against the threat of homelessness. The report also found there had been a fall in the number of mortgage repossessions, which have dropped 56 percent since 2004. The data coincided with another report from the Council of Mortgage Lenders which also reported a fall in mortgage repossession.